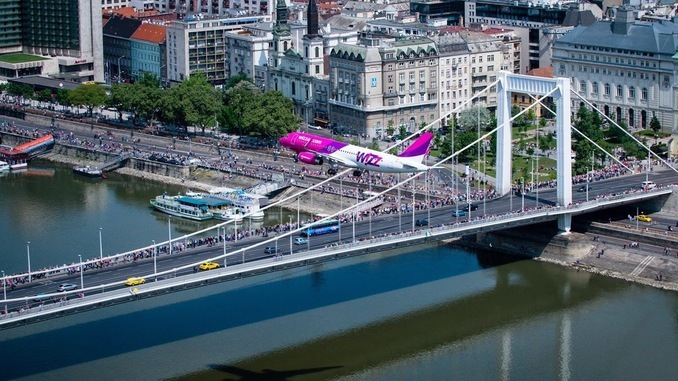 TIRANA, Nov 6 (Tirana Echo) – Albania and Hungary have agreed to intensify their economic cooperation by launching direct flights between Albania and Hungary, which will be run by Hungarian low-cost airline Wizz Air. The confirmation comes from a meeting between Albania’s Minister of Economic Development, Tourism, Trade and Entrepreneurship Milva Ekonomi and Hungary’s Foreign & Trade Minister Péter Szijjártó. The two ministers met during the 16+1 China and Central Eastern European Countries high level meeting held in Budapest this week, where both sides agreed that despite low trade volumes, bilateral exchanges are witnessing a growing trend in recent years. Official statistics show that volume of trade exchanges between Albania and Hungary in 2015 grew by 41% compared to the previous year. Foreign trade data also shows that during the first half of 2016 Albania’s trade with Hungary increased by 26%. “Some 43 Hungarian companies operate currently in Albania, and we expect this number to increase as Albania offers a wide range of business opportunities to foreign investors” said Albania’s economy chief Milva Ekonomi. Both countries expect that with the opening of an Hungarian Trade Chamber in Tirana and with direct flights between Budapest and Tirana due to start early next year by Wizz Air, trade and tourism exchanges as well as cooperation in education, culture, water management and civil aviation will grow immensely.